As our Year 13 students approach their IB Diploma exams, the baton passes to our new Year 12 Office Bearers, with the 2019/20 Prefects and Senior Prefects announced during a special Assembly on Tuesday, 5 February. Head Girl Emma Rubidge and Head Boy Ruaridh Angus will be assisted by Deputies Johanna Woitke, Francesca Livesey-Stephens, Alex Call and Kim Whatmore. They, in turn, will be supported by a team of Senior Prefects, who are: Jeffrey Buerke, Millie Costa-Sa, Lauren Denton, Rachel Gibbins, Tom Glen, Jack Headon, Jakub Lazar, Francesca Pellini, James Robertson, Georgie Robertson, Alex Voitinsky and Sze Yiu Wong. The following pupils were chosen as Prefects for 2019/20: Ellen Caton, Aman Choudry, Andrew Fleming, Andrew Ford, Nerea Gomez-Martin, Daniel Greenwood, Jia Ru Guo, Selina Handoll, Jemima Lindsay, Kit McCarthy, Peter Matthews, Kathryn Matthews, Yasmine Millar, Johannes Schaeff, Ole Specht, Bernat Tortajada and Sreeridhi Yemireddy. 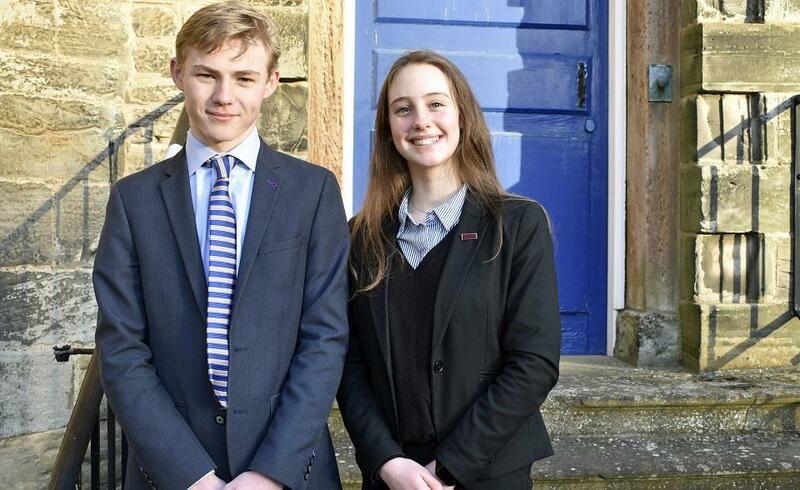 Amongst the new Prefects are two sets of twins – Georgie and James Robertson, and Kathryn and Peter Matthews – which is made all the more special by the fact that all four of them share the same birthday!